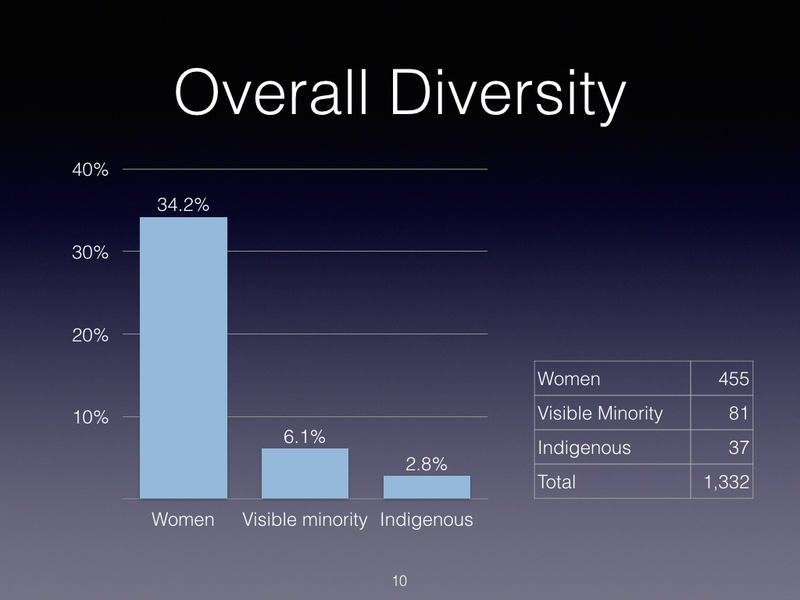 With the overall Government commitment to diversity and inclusion in all appointments, this deck provides a detailed analysis of the more the 1,300 current GiC appointments. Good reporting by Nicholas Keung. Despite recent reforms to the refugee system, whether an asylum claim is approved or denied has remained the luck of the draw, according to a new report. Based on Immigration and Refugee Board data, Osgoode Hall law professor Sean Rehaag looked at all 7,818 asylum decisions made in 2015 by 92 board members under the new system. He found their decisions vary widely on claims from the same country. The former Conservative government made these new decision-makers government employees — replacing the old political appointees — with the hope of making the system free from political influence based on the adjudicators’ political affiliation. “It’s striking that the refugee determination system is making life-and-death decisions and the outcomes of the claims vary depending on who is making the decision,” Rehaag said of his findings in the report to be released Wednesday. In 2015, a total of 8,268 new claims were processed; 279 were withdrawn and 160 were deemed abandoned with claimants absent from their hearings. Of the 7,818 decisions rendered, 65 per cent of the claims were granted and 35 per cent were denied. While some decision-makers rarely granted refugee status, Rehaag said others accepted most of the cases they heard. Member Gloria Moreno, for example, had a grant rate of 27.3 per cent out of 22 decisions, the lowest of all adjudicators, followed by David Young, who only accepted 32.9 per cent in 79 decisions. At the other end of the spectrum, 98.5 of James Waters’ 65 decisions were positive, with Maria Vega in a close second at 92.9 per cent. Although some of the differences may be due to the members’ specialization in particular types of cases such as geographic regions with especially high or low refugee claim recognition rates, Rehaag compared decisions by different adjudicators on claims from the same country and found the variations unjustified. Rehaag said his findings speak to the importance of allowing universal access for failed claimants to appeal to the refugee appeal tribunal. The IRB, however, said outcomes of decisions vary because decision makers render impartial decisions in accordance with the law based on the evidence presented. “It’s important to note that there are no ‘expected recognition rates’ at the board . . . each case is unique and determined on the basis of its individual merit,” said IRB spokesperson Anna Pape, adding that failed refugees are entitled to have decisions reviewed by the Federal Court of Canada. The Liberal government has dropped its constitutional challenge to the designated-country-of-origin regime established by its Tory predecessor, intended to deny appeals by claimants from countries presumed to be safe and capable of protecting their nationals. The great power of theater is that we don’t only recognize ourselves on stage, in one of the characters, but that we also feel included. On stage, questions are asked that every person deals with: questions of love, death, war, everything that we don’t know or are unsure of in life. The moment when we feel this sense of not knowing, this insecurity in the group, and we can laugh or cry together about it – that’s when a feeling of community is created. Art is suspending for a moment people’s feeling of being alone. It is feeling that we are all part of humanity and we have the same problems and doubts. To what extent should theater deal with current social issues? I grew up in Belgium, a country that has seen so many wars in the past and has become a kind of thoroughfare for Europe. Here you’re confronted with so many cultures and languages. That’s why I personally feel the need to tell people to watch out and not erect fences. They won’t help with anything. Should theater always send that message? I don’t know. Only if there is an honest commitment behind it. But after Paris and Brussels, it’s necessary to talk about our shock. And I think it’s important for theater to create space where people can discuss their feelings. How optimistic are you about the future? I’m afraid that this is just the beginning of something horrible. I hope that the peace talks in Syria can achieve constructive results. Diplomatic solutions must be found for this war. It’s not just about the criminals in Brussels. Salah Abdeslam was able to hide in Brussels for four months. That shows how powerful the network behind him is. The fundamental question is, though, to what extent terror is also linked to tremendous injustice in the world – particularly in the Arab World. I really am concerned that things will escalate as long as the gap between rich and poor – not just in Brussels, but worldwide – doesn’t change. Until then, I’m afraid these murders won’t end. In one of my recent conversations with Obama, he dilated on this point in an interesting way. (“The Obama Doctrine” contains many thousands of words of Obama’s thoughts on foreign policy. However, I could not, for reasons of space, include all of what he had to say. In the coming weeks, I will be highlighting some of the things he told me that did not make it into the original article.) Obama made these particular comments during a conversation about Ronald Reagan’s influence on Republican thought. His main argument here is that rhetoric that could legitimately be deployed against an ideology like communism cannot be similarly deployed against the world’s second-largest religion. The danger comes, Obama told me, when people apply lessons of the struggle against communism in the struggle against Islamist terrorism. One of the implications of the change in to pre-application assessment of language introduced in 2010 or 2011 as a means of streamlining processing based on advice from the Operations people. I didn’t fully grasp the implications at the time (my bad!) but since then a number of these anecdotes have emerged (a Danish friend of mine, having worked in Silicon Valley and Ottawa for many years, had to pay $200 or so for his test despite obviously being fluent given his work history). IRCC is asking that I take either a French exam which would cost me $460 or an English exam which would cost me $299. Why the difference in price? Why is it that I have to take a French exam when I graduated with a BA Honours French from a recognised university in Canada? The test is plainly highway robbery! Not only am I fully bilingual, I have also studied French since kindergarten and the best part of it is that I am a French teacher who has been working in a language school for a year and seven months now, teaching government employees the language (oral, written and comprehension at all levels)! On top of this $460 for the exam, I will also be required to pay $475 for the PR fee. The fashion world is keeping stats on runway diversity, but what’s the real goal? I really don’t get the point of Robin Givhan’s piece. Without numbers, we are left with impressions and anecdotes. What doesn’t get measured doesn’t get managed. Numbers and data are useful tools. Surely success is when those models are regularly just part of the mix at Prada, Céline, Saint Laurent and other shows that have far-reaching aesthetic influence and can launch a model into a lucrative advertising contract. Ideally, diversity should be part of the story-telling and myth-making, not a mathematical equation. All the counting is well-intentioned, but what’s the goal? If it’s to have a runway show more honestly reflect the consumer base of a luxury brand, well, clear the runway for 30-something men of Asian and Middle Eastern descent. Is it to more accurately represent womankind — at least the American version? Then there should be a glut of size 14 models who stand 5-foot-4. But no one is counting the number of short models on the runway (Lady Gaga in the Marc Jacobs show notwithstanding). We understand that fashion must balance fantasy with the reality of doing business in a diverse world. Those models booked for a runway show are cast to express a unique vision, to make viewers dream. They are, by definition, a rare and lucky lot. They are the chosen. They should also be a diverse group because they bear the responsibility of embodying a cultural standard. But as we all become more invested in fashion, there is the temptation to expect that each show should offer a unique representation of every conceivable consumer. To some degree, we are looking to see near mirror-images on the runway. But fashion has a responsibility to reflect the culture, not the individual. It’s fine to dissect diversity in all its many iterations. The question is whether all those fractions add up to a more welcoming industry or just a growing list of numbers. These criteria narrow the field considerably [member of provincial superior court, bilingual, Maritime], and risk obscuring another important fact: our high court does not look like the rest of Canada. No Aboriginal or visible minority has ever been appointed to the Supreme Court. Regional representation — which convention so assiduously protects — is important, but in an increasingly ethnically and religiously diverse country, it is only one of many indicia of diversity. Since the Abella Equality in Employment Royal Commission Report in 1984, a consensus has emerged among judges, lawyers and academics that judicial diversity matters. A diverse judiciary results in a broader range of perspectives, which is crucial to judicial decision-making. And greater judicial diversity fosters public confidence in the administration of justice. Little progress has been made so far. Professor Rosemary Cairns Way of the University of Ottawa reports that Aboriginal and visible minority members account for roughly 23 per cent of the population, and yet from 2009 to 2014, only 1.04 per cent of appointees to the provincial superior courts were Aboriginal, and only 0.5 per cent were members of a visible minority group. The same appears to be true of the senior reaches of the legal profession. The body that regulates lawyers in Ontario, the Law Society of Upper Canada, does not regularly collect comprehensive demographic data. But a Society report, released in 2010, shows that only 5 per cent of lawyers in Ontario between the ages of 45 and 64 are Aboriginals or visible minorities even though those two groups make up more than a fifth of that segment of the population. 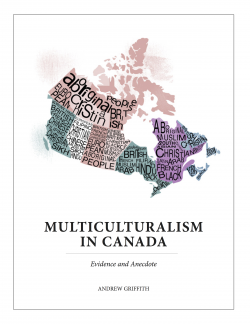 It is sometimes argued that as Canada’s population diversifies, the legal profession will too. Problem solved — some years or decades down the line. The statistics we have don’t bear out that claim though. Even among younger generations, Aboriginals and visible minorities are under-represented at the bar. And those who have managed to gain a foothold in the profession face unique challenges. The society reports that a majority of Aboriginal and visible minority lawyers believe that having a different cultural background has disadvantaged their careers. In that sense, the legal profession reflects trends in the broader job market. According to a recently released study led by University of Toronto researchers, black job applicants are 25.5 per cent more likely to land a job interview when they scrub their resumé of clues of their race. The time has come for change. And this change requires leadership from the top. We need out-of-the box thinking, such as Trudeau’s laudable decision to name women to half his cabinet positions — including Canada’s first Aboriginal justice minister. The prime minister will have to take a similarly bold approach to fill the high court vacancy. An Aboriginal candidate should take priority. It’s an absolute shame that Canada’s highest court has never had representation from among our First Nations. Mr. Dion confirmed the office’s closure at a global affairs conference in Ottawa on Tuesday. “Our government shares the same conviction as the previous government, but it assesses the consequences of its chosen method of promoting this conviction differently. I am referring to freedom of religion or belief, which we will defend tooth and nail, but not through the office that the Harper government specifically set up for this purpose,” said Mr. Dion during a speech at the University of Ottawa. The Liberals have previously indicated their intention to close the office. The office’s mandate expires March 31. Last week, the Conservatives tabled a motion in the House of Commons to renew the mandate of the Office of Religious Freedom. The Liberals voted against the motion and it was defeated 225 to 90. Prior to the motion, Religious Freedom Ambassador Andrew Bennett, who was appointed by the Conservatives in 2013, accepted a position as a senior fellow at Cardus, a leading Christian think tank. He will also serve as chair of the think tank’s Faith in Canada 150 program while he completes his term at Global Affairs Canada. His new position is voluntary and unpaid with support of Global Affairs Canada. Mr. Bennett’s three-year term was originally set to end in February, but the Liberals extended it to March 31 to coincide with the expiration of the office’s mandate and $5-million in annual funding. While Mr. Bennett’s future at Global Affairs Canada is unclear, the minister’s office has applauded his work as ambassador. While the Conservative initiative was criticized for mixing politics and religion, certain religious groups supported it. In a letter to Mr. Dion in January, Jewish, Sikh and Ahmadiyya Muslim organizations asked the Liberal government not to scrap the office. On Tuesday, Mr. Dion reiterated the government’s thinking in determining how to best defend various rights. “We believe that human rights are better defended when they are considered, universal, indivisible, interdependent and interrelated, as set out in the Vienna Declaration,” said Mr. Dion. The remaining question is the degree to which future projects focused on religious freedom will be funded within existing Global Affairs program funds. I expect not absent any declaration to the contrary. India is an exemplar par excellence of power sharing and political accommodation in a multi-ethnic, multireligious society. In a country where 80 per cent of the people are Hindus, at one point the heads of government, state and army were a Sikh, Muslim and Sikh respectively; and the real power behind the throne was an Italian-born Catholic widow. Diversity and pluralism have no better champion. At the official White House banquet hosted by U.S. President Barack Obama for India’s Prime Minister Manmohan Singh – a Sikh – on Nov, 24, 2009, a glittering new dimension of Indian soft power was in evidence with the presence of many Indian and Indian-American women from the political, business, literary, cultural and educational worlds. Sikhs make up under 2 per cent of India’s population, so two Sikhs in Mr. Modi’s cabinet is a better reflection of India’s diversity than four in Mr. Trudeau’s is of Canada’s demographic makeup. In fact the Congress Party, not Mr. Modi, needs a reckoning on Sikhs. After Indira Gandhi’s assassination by Sikh bodyguards in 1984, 3,000 Sikhs were slaughtered in a pogrom often orchestrated by senior Congress leaders, including more than 2,000 killed in the nation’s capital. One of the extraordinary features of modern Indian history is how Mr. Modi was demonized internationally for his alleged role in the anti-Muslim riots of 2002 in Gujarat but the Congress Party escaped global odium for its role in the worse atrocities of 1984. It is hard to see how there can be closure for the victims’ families until such time as there is criminal accountability for those events. Moreover, any mention of Sikhs in the context of Indo-Canadian relations inevitably rakes up ugly memories from three decades ago, when Canada seemed to be home to a large number of separatist Sikh extremists. On June 23, 1985, Air India flight 182 was blown up over the Irish Sea en route from Montreal to Delhi via London, killing all 329 people on board. Most were Canadian citizens of Indian ancestry. This was the first bombing of a 747 jumbo jet, the deadliest plane bombing, the deadliest attack involving an aircraft until 9/11 in New York and remains the biggest mass murder in Canadian history. The perpetrators are believed to have been Sikh terrorists, although the subsequent trials were less than satisfactory. All in all, what may have been a lighthearted quip by Mr. Trudeau is fraught with hidden dangers and best avoided in future. Young Republicans are much more likely to have favorable views of immigration and to support a path to citizenship for immigrants in the United States illegally than are older Republican voters, according to a survey published on Tuesday by the Public Religion Research Institute, a nonpartisan research group. The divide could mean trouble in the general election for either of the two leading Republican candidates, Donald J. Trump and Senator Ted Cruz of Texas, who have called for mass deportation of 11 million undocumented immigrants. In the survey, 63 percent of Republicans under 30 said they supported giving those immigrants a chance to become citizens if they met certain requirements. Only 20 percent of young Republicans said they would identify and deport them. By contrast, about a third — 34 percent — of Republicans age 65 and over favored deportation, and less than half — 47 percent — said they supported a pathway to citizenship for those immigrants. A third option, allowing the immigrants to become permanent legal residents but not citizens, was not supported by more than 15 percent of either group. The institute’s survey is unusual because of the size and duration of its sample. The report is based on 42,586 telephone interviews conducted in English and Spanish from April 29, 2015, to Jan. 7, 2016. The margin of error is plus or minus one point. Mr. Trump’s pledges to expel illegal immigrants and to build a wall along the border with Mexico consistently draw cheers at his rallies. Mr. Cruz has followed Mr. Trump and hardened his position, saying he would deport illegal immigrants and would not allow them to return. In general, Republicans’ views of foreign newcomers are negative, the survey suggests, with 53 percent saying that recent immigration “threatens traditional American customs and values,” while only about a third — 32 percent — say immigrants “strengthen American society.” Among conservative Republicans, 58 percent think immigration is bad for the country. But 51 percent of young Republicans say immigrants make the country stronger.